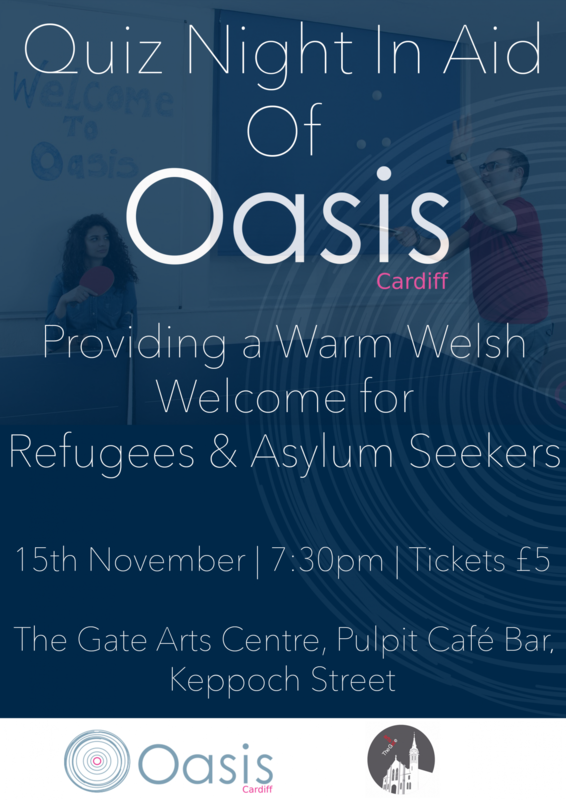 We are very happy to announce that The Gate Arts Centre in Roath have very kindly offered their gogeous and newly renovated Pulpit Café Bar to Oasis Cardiff for the night to host our own fundraising quiz night. If you haven’t visited The Pulpit Café Bar yet then this is a fantastic chance to check out what new local craft beers and ciders they have to offer along with much more. And if you don’t know much about Oasis Cardiff and what we do some of our core team will be there to spread the word! Minty Booth (Part of the “Cardiff Fringe Theatre Festival” Team and Bar Manager at The Gate Arts Centre) will be quiz master for the night so you are all in for an absolute treat, his brain is bursting at the seams with weird and wonderful questions. Tickets are not yet on sale but please keep your eyes and ears open as there will be limited tickets available. Prizes for 1st 2nd and 3rd place are to be confirmed!